The beginning of winter, generally when the crowds die down, and to be honest, the fishing as well. 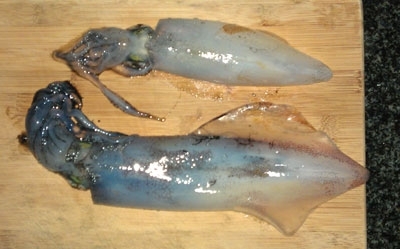 The good part about fishing in winter is the squid are generally bigger, and it is easy to jig for squid in the colder weather as you do not have to touch frozen bait or wash your hands in the cold water. Here is a catch one on of my new favourite jigs (unfortunately I lost it two weeks later!). 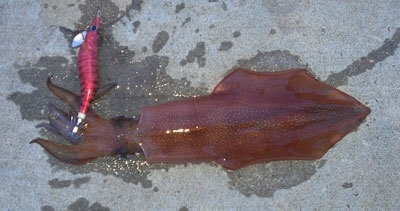 We ended up with two squid on the day. The squid are not in abundance in winter, but there’s a better chance of scoring an elusive southern calamari!